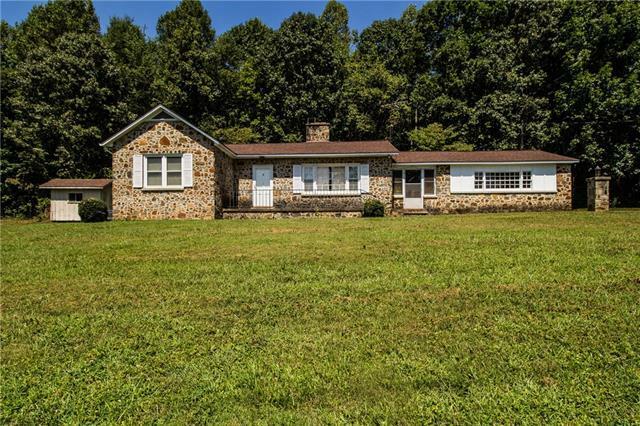 Conveniently located on near Hwy 321 you will find loads of potential for this stunning rock ranch on over an acre. This 3 bedroom 1 bath home with replacement windows features a large family room with hardwood floors, knotty pine paneling, built in cabinets and stone fireplace which opens to a large eating area and kitchen. A breezeway separates the house and the attached double garage. There is also a detached double garage/workshop with additional living space above that includes a bedroom, bath, kitchen and living area. Property is being sold "as-is"
Sold by Coldwell Banker Newton Re.